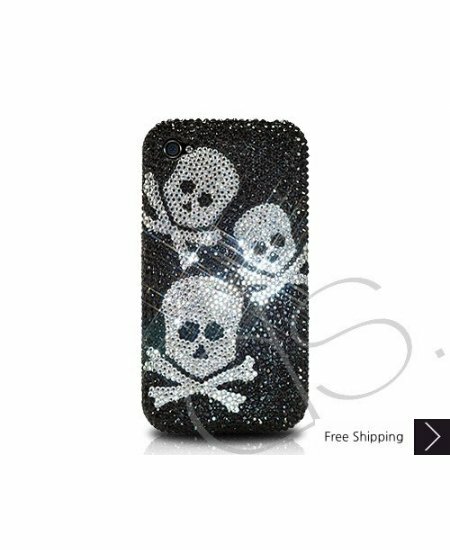 Three Skulls Bling Swarovski Crystal iPhone XS and MAX iPhone XR Case is handcrafted which make this the most luxury and prestige product. Every single pattern is a collaboration between our designers and craftsman. You will not find an identical case as yours even for the same pattern as they are all hand made. This is one of my fav cases.It is so beautiful... I think I'll have this case for a very long time. I ordered this case and came in three days. It looks a little different from the photo above because of the rhinestone shapes it contains. Overall. I really do like this case but the only thing is you notice the Super Glue.